NECO Human and Regional Geography Essay/Theory Solution Questions and Answer – JUNE/JULY 2018 Expo Runz. All subscription to 09038590421 as usual..
TELL THE WORLD(YOUR FRIENDS AND JUNIOR ONES) ABOUT 042tvseries..
Migration is the movement by people from one place to another with the intentions of settling,permanently or temporarily in a new location. i)Immigration and Emigration: When people from one country move permanently to another country, for example, if people from India move to America then for America, it is termed as Immigration, whereas for India it is termed as Emigration. ii)In-migration and Out-migration: In-migration means migration occurring within an area only, while out-migration means migration out of the area. Both types of migration are called internal migration occurring within the country. Migration from Bihar to Bengal is in-migration for Bengal, while it is out- migration for Bihar. coming in the country and the total number of people going out of the country for residing is called gross migration. The difference between the total number of persons coming to reside in a country and going out of the country for residing during any time period is termed as net migration. iv)Internal Migration and External Migration: Internal migration means the movement of people in different states and regions within a country from one place to another. On the other hand, external or international migration refers to the movement of people from one country to another for permanent settlement. are young men between the ages of 15 to 24 years who are unwed. Others above this age group come alone leaving their families at home. ii)Economic Effects: the effects of migration on income and employment in urban areas are varied depending upon the type of migrants. Usually the migrants are unskilled and find jobs of street hawkers, shoeshine boys, carpenters, masons, tailors, rickshaw pullers, cooks and other tradesmen, etc. ii)Movement of people: Transportation equally ensures the movement of people from one part of a country to another, either for work or other purposes. iii)National and international trade: Transportation enhances trade between two countries and also between two diferent regions in a country. Eg: Through water transport, Nigeria is able to transport her petroleum to U.S.A and Britain; and get cars and machinery from these countires. iv)Development of tourism: people from different part of the world visits tourist centres through different means of transportation. v)Increased production: Transportation enables people increase their production either in agricultural, mineral or industrial goods. i)Presence of highlands: This limits the construction of roads, railways and airports in an area. ii)Distance: The longer the distance between two places, the more the transport, energy, time and cost of transportation. iii)Lack of capital: Owing to lack of capital, roads, railways, airports, etc are often difficult to construct and maintain. iv)Low patronage: Due to low patronage of these means of transportation, partly due to low income and low volume of trade, government is not encouraged to construct roads, railways, airports, etc. i)The Nigeria relief feature plays essential role on the formation of rocks, soil, vegetation and it also has influence the climatic conditions of the areas around it. ii)The Benue trough could serve as important location for the discovery of oil and gas and other important mineral deposits; most of these mineral deposits (coal) are mined in f Enugu State and in other parts of the country. iii)Lowlands serve as a comfortable habitat for man settlement; it enables the construction of communication networks like railways, airports, and road and for mounting of telecommunication masks. iv)Benue trough also favours intensive agricultural activities due to it depositional plains which are rich fertile soil. i)Jobs Creation– We want to build a sector that is a jobs and growth machine, capable of working alongside other sectors to create a range of career options for our citizens. ii)Revenue Generation– We want to build a sector that blocks all forms of leakages in the revenue accruals with aview to ensuring prompt and comprehensive collection of revenues. iii)Industrialization– We want to build an industry that will support Nigeria’s industrialization, expansion of low cost coal generated power, earn foreign exchange and generate tax revenues for government at all levels. i)Inadequate Infrastructure- For mining companies to run smoothly and efficiently, the basic amenities and infrastructures must be available in a reliable form. ii)Insufficient Funding lack of capital is one of the factor which is hindering the small scale and artisnal miners. These small scale and artisnal miners lack the required amount of capital to procure the necessary equipments required for a successful mining process. iii)High Risk and health hazard Mining is a process involving a greater amount of risk; over the years, there have been cases and records of mine explosions. iv)Insufficient Geological Data There is still a heavy reliance of the Nigerian mining sector on the geological data obtained about 50 years ago despite the fact that some geosciences data have been made available. i)Nigeria government should provide adequate and well functioning infrastructure. ii)Nigeria government should provide adequate funding for the mining industry. v)Nigeria has benefited from the free movement of goods and services; there is always a ready market for the sale of her produce. i)Language barrier- There are three languages that are used for communication within the ECOWAS , that is English, French and Portuguese. For easy communication among members there is the the need for individuals in the region to be able to speak these languages but this is proving to be difficult. This has necessitated the use of interpreters to make people understand each other at summit meetings. ii)Widespread Poverty- Many of the member states of ECOWAS are among the poorest of the poor nations in the world. Many of their citizens earn less that a dollar a day. This, in a certain sense is preventing real economic integration of the sub-region while many continue to live in squalor and deprivation. iii)Human Rights Abuses- Another problem of the ECOWAS group is the penchant of the member states to abuse the human rights of their citizens. The human rights records of some member states is nothing to write home about. Champions of human rights abuse have cited member states on many occasions over their human rights abuse. Togo was ever cited, Nigeria under Sanni Abacha has ever been cited. This is a problem for ECOWAS. Answers will be available before 9:30am-10am. 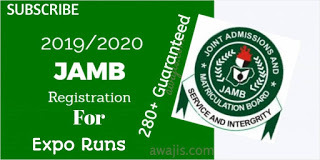 Verified NECO 2018 June/July Human and Regional Geography OBJ and Essay Answer and Solution to the questions. 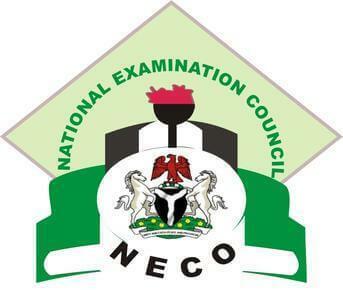 0 Response to "NECO 2018 Human and Regional Geography Essay Answer – June/July Expo"